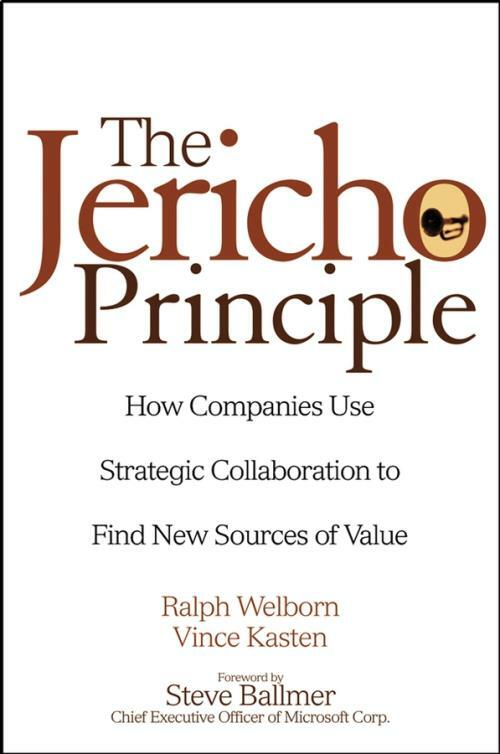 The Jericho Principle identifies key trends and patterns in the increasing use of collaboration by corporations and creates a strategic and operational framework for answering key questions about the why and how of using collaboration to rapidly create innovation in uncertain times. Two business and technology strategists from Bearing Point Consulting, formerly KPMG, provide models and diagnostics that break down the various collaborative models in the marketplace, to give managers the tools and understanding they need to quickly and effectively launch the strategic partnerships and alliances that will drive innovation and value creation. Using case studies, client stories, and research, the authors offer the reader a clear view of the promise and peril of collaboration, revealing what works and what doesn't. Ralph Welborn (Westwood, MA), Senior Vice President, and Vincent Kasten (Fanwood, NJ), Managing Director, are senior business and technology strategists with Bearing Point Consulting, one of the world's leading management consulting and systems integration companies. Chapter 1. The Jericho Principle: Using Collaboration to Break Down Organizational Walls. Chapter 2. The Strategic Value of Collaborative Ventures - Emerging Collaborative Models & Why Do We Care? Chapter 3. Collaborative DNA: Exploring the Dynamics of Effective Collaborations. Chapter 4. As the Walls Come tumbling Down - Emergent Organizational Implications. Chapter 5. Business Knowledge: Celebrating the 'Edge' & The Crux of Collaboration. Chapter 6. Technology at the Collaborative Edge. Chapter 7. Collaborations as Emergent Behaviors. RALPH WELBORN and VINCE KASTEN are Principals leading the Global Transformation Team at Unisys Corporation. They were formerly senior business and technology strategists with BearingPoint. They have both widely consulted and presented on emerging business and technology trends and organizational transformations throughout the world.